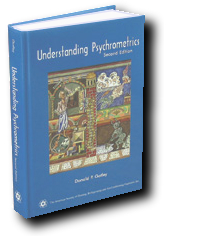 Donald Gatley, "UNDERSTANDING PSYCHROMETRICS", 2nd edition. If you want to understand psychrometrics, get this book. Understanding Psychrometrics serves as a lifetime reference manual and a basic refresher course for those who use psychrometrics on a recurring basis and provides a four- to six-hour complete psychrometrics learning module to students; air-conditioning designers; agricultural, food process, and industrial process engineers; meteorologists, and others. comparative data for ideal gas calculations based on Nelson and Sauer 2001 ASHRAE research and on Hyland and Wexler NIST formulations. all of the algorithms required for psychrometric calculations, including barometric pressure vs. altitude and the formulas for wet-bulb and dew-point temperatures below freezing. PDF files of 13 new and 12 existing ASHRAE psychrometric charts plus three new 0ºC to 400ºC, 0–1.0 humidity ratio charts at pressures of 5.53 kPa, 101.325 kPa, and 2000 kPa. hw.exe, an executable file with the Hyland-Wexler Real Gas Moist Air Table and Pure Water Properties Table data with comma delimited file output. hw.exe output displays eight significant digits for each computed value. This improves the accuracy of comparisons with other software or when using the output for curve fits. For example - use of output to calculate and then curve fit the specific heat of the water vapor in moist air. The curve fit equation can then be used in other programs. The HOF tables do not have sufficient digits to accurately perform this task particularly at low temperatures. hw.exe can generate tables at other than standard sea-level barometric pressure (101,325 Pa). The program can generate a table for saturated air (apparent molecular mass of dry-air = 28.9645 kg/mol·K) and for any barometric pressure between 5,000 Pa and 5,000,000 Pa. Note that stratospheric air (above the tropopause) may have a different composition and therefore a molecular mass other than 28.9645 (ICAO Troposphere in mid latitudes extends to 11 km and a pressure of 22,632 Pa ). hw.exe can calculate the entire HOF 2005 Psychrometric Chapter tables in 1°C increments from -60°C to 90°C for Moist Air and -60°C to 160°C for pure water. Within these bounds the high and low temperatures can be changed and the increments can be decreased to 0.01°C or increased to 5°C, 10°C or larger increments. Similar IP (inch pound system of units) tables can be produced by setting the temperature increment to 0.55555556°C and setting the lower bound to any value of 0°C +/- 5°C; e.g., -40°C to +65°C. The resultant *.csv table can then be converted to IP units using ASTM conversion equalities. Note that temperature, enthalpy and entropy conversions are more difficult because the dry-air properties are referenced to 0° in either system of units ( 0°C and 0°F are not equivalent reference states ). In addition to the columns of the ASHRAE HOF 2005 Moist Air table columns …hw.exe outputs the enhancement factor and the corrected saturation vapour pressure. Approx Price: $79 US. Excluding postage and vat.